‘Calf scours’ is when young calves develop diarrhoea and become dehydrated. The scour can be white, yellow, grey or blood-stained, and is often foul-smelling. It occurs in calves being suckled by their mothers in the paddock and in hand-reared calves. Calf scours are due to a combination of predisposing environmental conditions outlined below and infectious organisms. 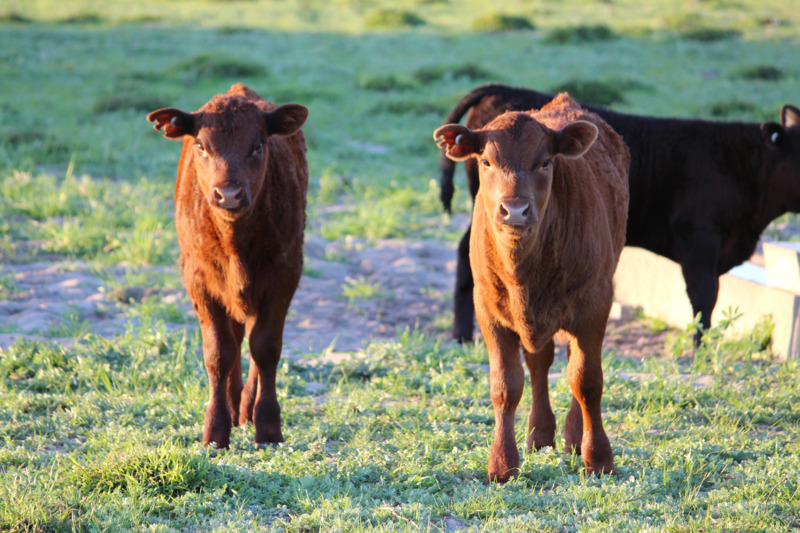 More than one organism can be present in the one calf during a particular outbreak. the Emergency Animal Disease hotline (toll free) on 1800 675 888. How can I prevent calves developing calf scours? Colostrum is the ‘first milk’ produced by the cow. It contains immunoglobulins produced by the cow’s immune system and protects the calf against diseases present in the herd. These immunoglobulins are only able to be absorbed by the calf in the first 24 hours of life. Cows in good condition, on a diet meeting their energy needs and in a stress-free environment, will produce a good supply of colostrum. Calves born easily in a dry or sheltered environment will be best able to consume sufficient colostrum to protect them from scours in their first six weeks of life. Newborn calves are susceptible to infection, particularly if dams have recently been introduced to the herd. Avoid bringing new cattle onto the farm during calving. Introducing poddy calves from another property during calving carries a high risk of introducing calf scours or other infectious diseases. It is important to establish the cause of a scours outbreak. Identifying the scour organism allows the veterinarian to determine the most effective treatment (such as whether to use antibiotics and which type) and future prevention strategies. These organisms are usually carried by the cows and shed in stressful environments. Assessing environmental factors such as cow nutrition, calving paddock shelter and cleanliness, ease of calving and calving herd structure also assists in understanding the reason for a calf scours outbreak. Sometimes even when producers provide excellent management and attention to all of the predisposing factors, calf scours can still occur. Scours can be particularly bad in some years with a number of calves involved, and simply not present the next year while neighbouring farms are experiencing the problem. To identify the organism causing the scour, collect a scour sample into a sterile jar. Your veterinarian will submit the sample to a laboratory for testing. Test results will allow your veterinarian to advise on suitable treatments for the calves and to work with you to put appropriate management practices in place to stop the outbreak and reduce the chance of future outbreaks. A vaccine against a combination of rotavirus, coronavirus and E. coli can be given to cows before calving so that immunity is passed to the newborn calf in colostrum. Limit stock introductions, vaccinate and follow strategic drench recommendations. Select bulls for ease of calving and manage short joining/calving period. Manage heifers as separate mob. Use protected calving paddocks, with low stocking density and easy access to feed, water and supplements. Rotate calving paddock from year to year to reduce build-up of infectious organisms. Move calved cows with their calves through to clean paddocks after calving. Avoid yarding calving cows or heifers unless calving assistance is needed. This limits the opportunity for spread of scour organisms to newborn calves. Limit time assisted calves are held around the yards. Clean crush areas and flush with a disinfectant after each use. If a scour outbreak occurs, hold and treat affected calves in a mobile calf pen (providing warmth and shade) in the paddock away from ‘cow camps’ but near their mothers. Severely affected calves need fluid and electrolyte replacement and nursing care to keep them alive. treating with antibiotics if warranted by the diagnosis (when bacteria are the cause). The organisms that cause calf scours can also cause intestinal disease in humans. To avoid getting ill, it is advisable to wear rubber gloves and to wash hands and exposed skin thoroughly after treating scouring calves.